China is moving ahead with plans to accelerate its adoption of clean energy. Solar power has become one of the country’s most heavily supported forms of renewable power and companies that specialize in solar energy have much to gain from this. The National Energy Administration of China has released a new policy document that details the country’s plans to embrace clean energy more aggressively through new financing schemes that are focused on distributed solar power. 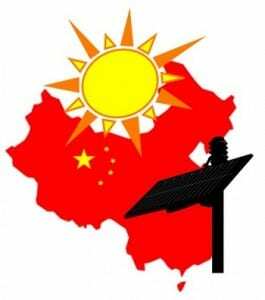 China has plans to see some 14 gigawatts of installed solar energy capacity through distributed power and utility-scale projects by the end of 2014. The goal is ambitious, but China has proven that such a goal is not impossible to obtain. The country has set ambitious goals for itself in the past in terms of renewable energy capacity and has, thus far, accomplished every such goal. As home to the largest manufacturers of photovoltaic products, China is in a position to meet any solar energy goals it establishes. The country will be introducing new financing plans that are similar to those being used by companies like SolarCity. According to the policy document, a new financial structure for loans, loan guarantees, and leasing is being devised. Companies that install photovoltaic systems and banks are also working on forming better partnerships that will foster the adoption of solar energy among homeowners and businesses. The policy document also outlines plans to launch an initiative that is heavily based on solar energy. This initiative involves the adoption of new construction standards with an emphasis on energy efficiency. The initiative will also focus on the construction of more affordable homes and transportation hubs. These buildings will be equipped with solar panels that will generate renewable electricity. China will also be working to embrace more standardization within its solar energy sector, ensuring that photovoltaic products adhere to a certain degree of efficiency and durability.